With more and more facialists combining cutting edge technology with a hands-on approach when treating the skin, the demand for skin rejuvenation treatments such as radiofrequency facials is ever increasing. Radiofrequency (RF) is primarily used to treat skin laxity by facial tightening, and is best suited to patients with mild to moderate sagging of facial tissues, usually those in their mid thirties to fifties, with any skin colour. Radiofrequency is all about stimulating your own collagen production. RF treatment uses tripolar and bipolar radio frequency modalities to heat subcutaneous dermal tissue using a hand piece emitting RF waves. This causes the contraction of the existing collagen fibers, encourages fibroblast migration and promotes new collagen growth that helps to tighten and improve the outer architecture of the skin. You will see the lifting effect and feel how your skin becomes tighter, smoother, and more elastic. There is no down time and minimal discomfort. It is a walk-in walk-out procedure. 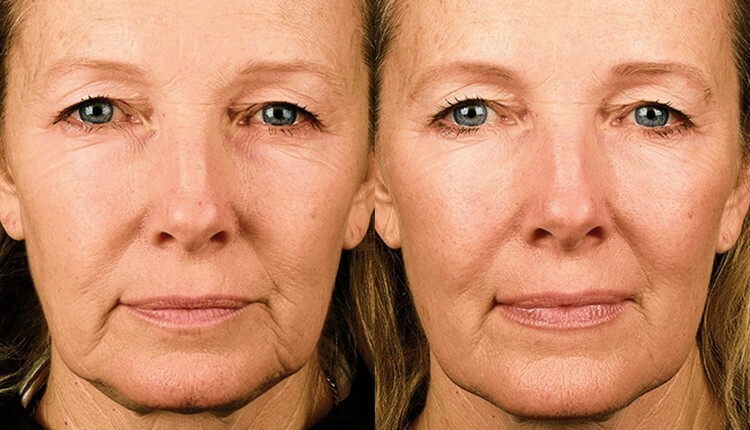 The goal of the radio frequency face lift is to assist in restoring a more youthful look by helping to reverse the signs of ageing and gravity. Radio Frequency is safe to use on all skin types for women and men looking to improve their appearance. 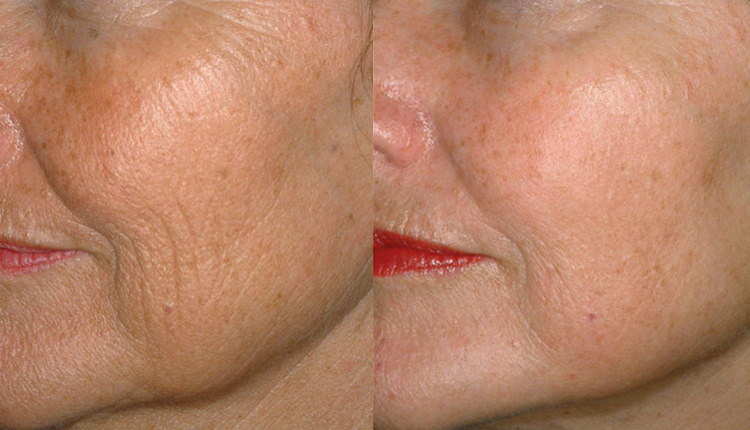 Tightening and smoothing of skin resulting in a reduced appearance of fine lines and wrinkles. 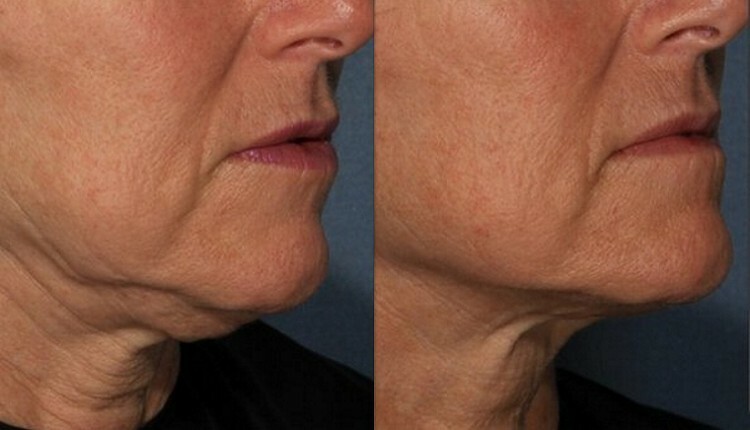 Tightening of sagging skin around the jowls and neck. A reduction in the appearance of double chins. A noticeable improvement in skin tone. Before the treatment starts, the area is cleansed and coated in a conductive gel to make the treatment more comfortable and to increase the hand pieces surface contact with the skin. There is little discomfort during or after RF Face Lift treatment. There is a definite feeling of warmth in the skin at the area being treated. The hand piece used in treatment has it's own cooling module to help keep the treatment comfortable. We recommend a course of anywhere between 6 to 10 treatments every 2-3 weeks apart for the most beneficial results. We also recommend a maintenance treatment approximately every 6 months after your initial treatment course to maintain the results. You will notice a difference in your skin after your first treatment. The treatment is an accumulative result; it is normally around the 3th treatment for the results to be more drastic. Once we have started to stimulate your collagen it will continue to produce in between each treatment. When we get your skin to a level that both you and your therapist are happy with it is important to do a maintenance treatment every 6 months to top up your collagen production.